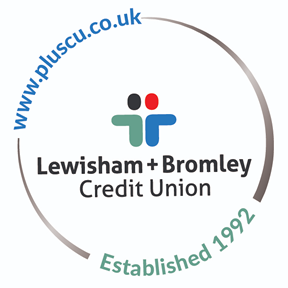 Lewisham Plus Credit Union (LPCU) assesses each loan application based on its own merits, and we reserve the right to decline loan applications or restrict the amount lent based on any factor we consider relevant. Loans are granted mainly based on a member's ability to repay the loan. Members will be required to provide evidence of their income prior to the loan being issued, and are encouraged to continue saving while repaying their loan (even if it is £1 a week) so that the habit of regular savings does not disappear. Loans can be granted to any member over the age of 18, over a maximum period of 5 years, subject to the loan product and can be re-paid in weekly, fortnightly, four-weekly or monthly installments. The credit union does not charge a set-up fee for loans. Interest is only charged on the outstanding balance of the loan, and loans are insured against death at no cost to the member (subject to policy limits). See Free insurance details. We do not lend for business purposes. The affordability criteria above are the typical minimum requirements to be eligible to apply for a particular type of loan. Please note that meeting these minimum requirements does not guarantee that a loan will be granted. You may be asked to deposit an agreed amount of savings in a secure savings account while the loan is outstanding. You can make additional repayments to reduce the loan more quickly if desired, but must make your minimum payments on time. There is no charge from the credit union for early repayment of the loan. All loans are legally binding agreements. If you do not keep up with agreed repayments we can take debt recovery actions. These may include transferring your savings to pay off your loan or using debt collectors, County Court Judgements and attachment of earnings, which may affect your credit rating and others in your household. We may also recover your loan by direct deduction from your benefits, where permitted by DWP.